Get your sunnies ready, y’all! 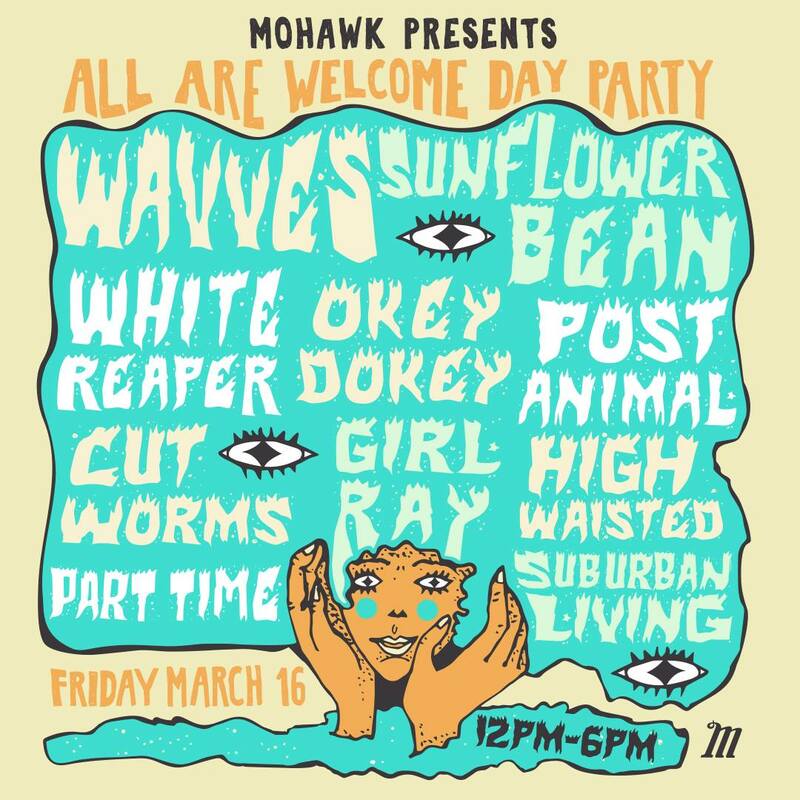 Legendary Austin music venue, the Mohawk, is officially bringing back their “All Are Welcome” SXSW Day Party for a second year in a row. On Friday, March 16th from 12pm-6pm, everyone (read: no badge required, free entry, and all ages welcome) will get a chance to sip, sit and soak up some tunes at the famed music club! The lineup this year is a daytime appropriate blend of surfer-chill-meets-garage-band-of-the-aughts stylings from the likes of – ready for it? – WAVVES as headliner, Sunflower Bean, White Reaper, Okey Dokey, Post Animal, Cut Worms, Girl Ray, HIGH WAISTED, PART TIME and Suburban Living. 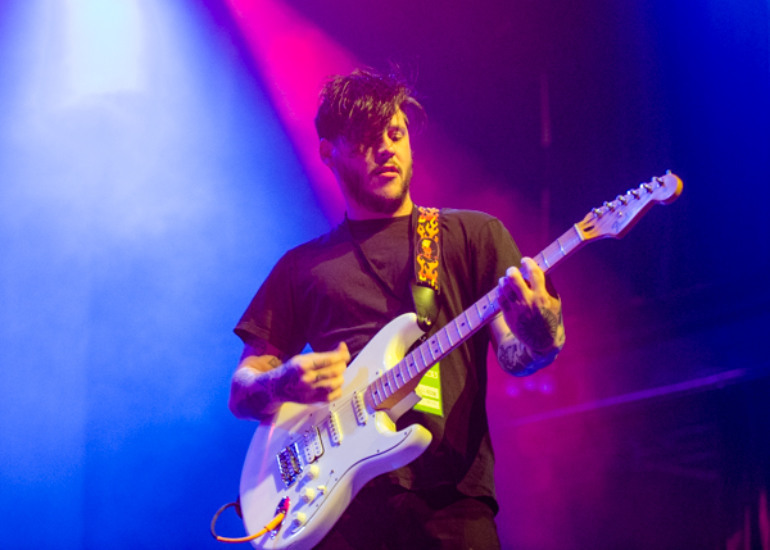 We don’t know about you guys, but we’re super pumped to catch WAVVES at this shindig! These guys have been burning the candle at both ends over the past year, from their sixth album, You’re Welcome, dropping, to mashing up with band buddies Culture Abuse for a couple of singles, not to mention two tours in 2017 – one in the spring with the almighty Blink 182, the other in the fall with Joyce Manor. So, needless to say, we’re stoked they were able to squeeze in a few sets here in Austin for SXSW. Can’t wait to hear some of those sun-soaked, California-stoner melodies as we kick up our feet for a little end-of-fest reprieve. And you really can’t go wrong with the rest of the lineup, either. From Sunflower Bean surely sampling tunes from their sophomore album, Twentytwo in Blue – which not-so-coincidentally gets released shortly after the fest on March 23rd – to White Reaper also coming out with a second album in 2017, etc., etc., newness – and greatness – is sure to abound at this for-the-everyman daytime party. No required RSVP, but again, the event is free and open to all ages, so we recommend getting there early. Check out more details on the party’s Facebook page. See ya there!